Consider a life without photographs. Your entire existence is chronicled only by memory and words. You have no pictures. No baby photos, nothing from your wedding or graduation, and certainly no selfies. If you are born into privilege (or catch a little lucky), then you have one photo, a framed portrait with its permanent place as the centerpiece of your belongings, a proud symbol of your worth and dignity as a human. 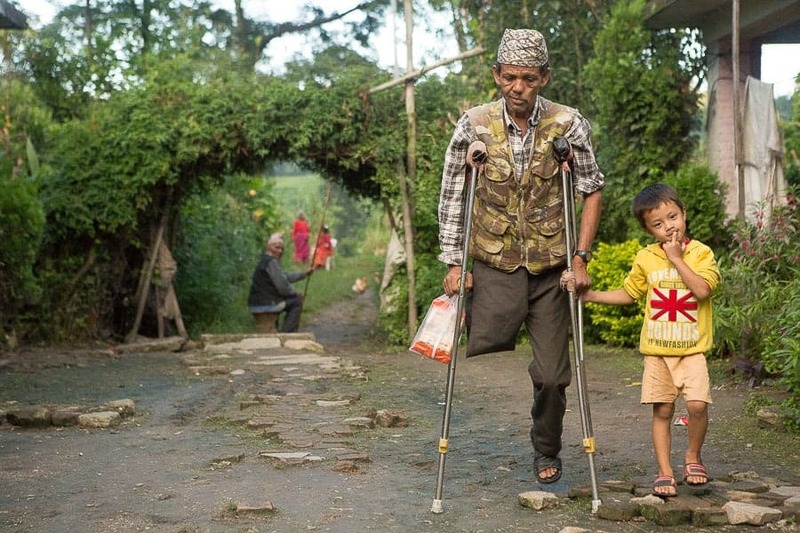 What could be the premise for a dystopian novel is the reality of the Khokana Leprosy Colony in Kathmandu, Nepal. 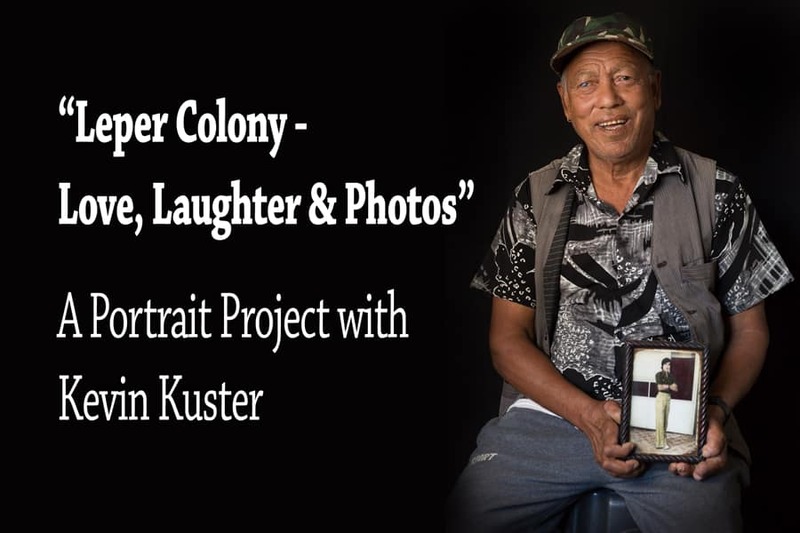 The residents of the colony are at the center of photographer Kevin Kuster’s charity initiative titled “Leper Colony – Love, Laughter & Photos.” Kuster visited the colony in October 2016, delivering solar light devices as part of a mission with Watts of Love. 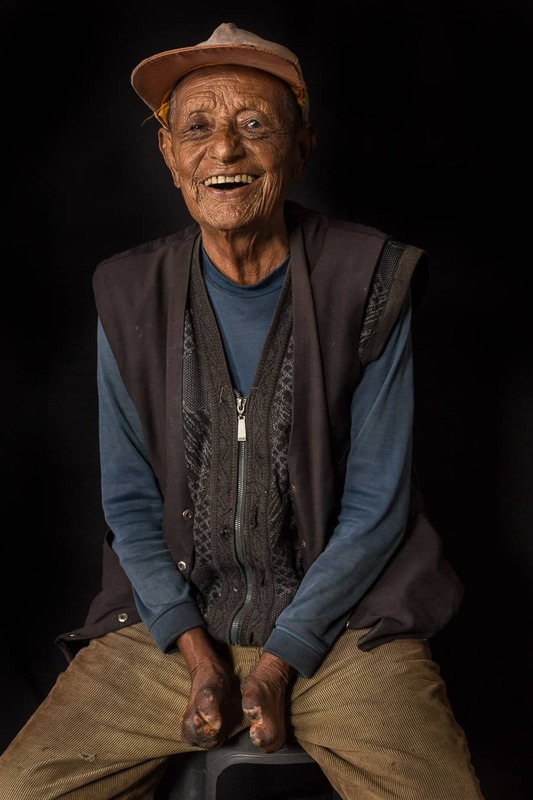 To take an original framed portrait to each resident of the Khokana Leprosy Colony. To bring public awareness to leprosy and its curability. “The project is about humanity, people, and photography,” Kuster said during our interview in mid-December 2016. “The human mind thinks in photos. The human mind doesn’t think like a video or a film. Think about the extreme, powerful moments in your life. We have a snapshot. That’s the power, that’s the value of a photograph.” Consider that many of the colony residents had never owned or even seen a photo of themselves. Many residents in their 60’s, 70’s, and 80’s were brought to the colony as young children. They have never been photographed, never been given a single print. Jim Harmer and the Improve Photography team support Kuster’s mission to bring photography to the Khokana Leprosy Colony. Kuster knew he could bring joy through photography to the residents. With time and friendship on his side, Kuster showed the residents a candid photograph of a Kuster’s sister and a resident hugging and smiling, a snapshot of joy and beauty. When the residents saw that photo, the reaction was profound. In the photograph, Kuster showed them a deeper sense of humanity and the joy in their lives. 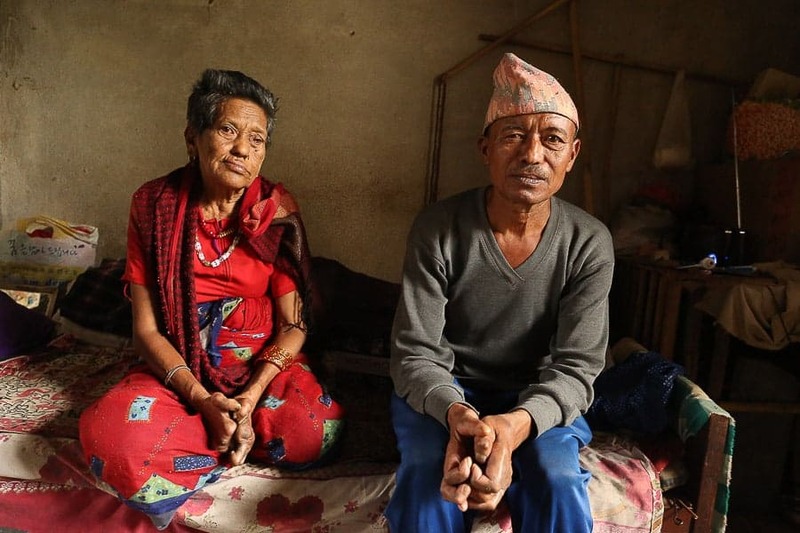 With a simple black fabric backdrop purchased in a Nepali textile shop, Kuster photographed as many residents as he could during his October visit. Kuster used a single Yongnuo flash, an umbrella, a Canon 5DMarkiii, and the Canon 24-70mm f/2.8 lens. Kuster didn’t want the portraits to be about him as a photographer or him as a lighting master. The goal was simplicity, for with simplicity in minimal lighting Kuster could stay present with each person. “Had I had more equipment,” Kuster recalled, “I would’ve lit it differently, and it would’ve been wrong. I would have asked myself, ‘Do I need an edge light, a hair light, a little more fill in the shadows?” Kuster’s portraits are not meant for other photographers to analyze for technique. The portraits are for the residents, to give them that powerful sense of worth and history, to show that their story and existence matters. Kuster told me the story of two residents he photographed. The two men came to the colony office where Kuster had set up his makeshift studio. The two men arrived wearing aged, worn Nepali hats. They also each came with a box filled with tissue paper. Delicately wrapped in the tissue paper were brand new hats. The two residents put the hats on their heads and prepared for their portraits. This simple moment could have slipped by unnoticed, just a change in wardrobe before the shutter click. But Kuster did not let the moment pass. He stopped the session and asked them to explain why they were changing their hats. The two men explained that this portrait was a moment for them about honor and dignity. The hat was for a special occasion. The portrait, for them, was special and held tremendous value. Kuster knew in that moment the importance of these portraits. Kuster recognized then that he had been given the honor of telling their story. 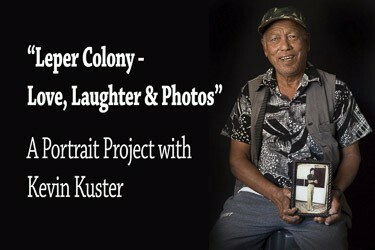 With the “Leper Colony – Love, Laughter & Photos” project, Kuster wants to do their story justice. 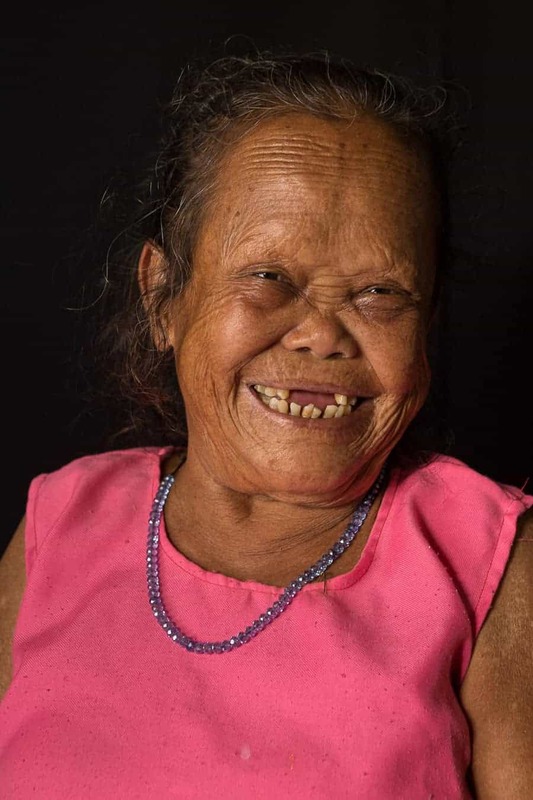 “I want their story to be told, to show that leprosy exists, and show the world that it’s curable. 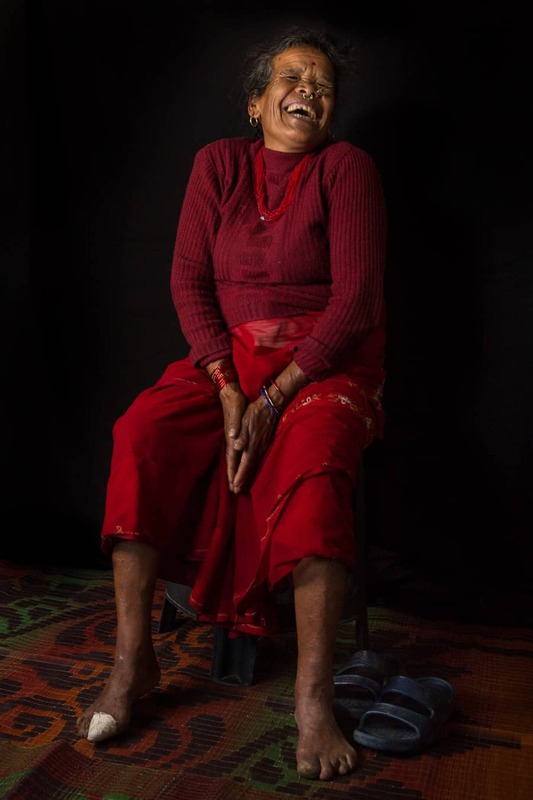 People in 2016 are diagnosed with leprosy, and shipped away and put in colonies for the rest of their lives.” Kuster hopes this project and the portraits bring awareness to the disease, inspire conversation about its stigma, and spread the knowledge of its curability. Consider a photo you have provided to a family, a friend, or a co-worker. Think about what that photo might mean to that person twenty or thirty years from now. You might not be in that person’s life any more, but that photo will be. The profound value your photograph will bring to that person is exactly what Kuster’s portraits will bring to the residents of the colony. To help bring that profound sense of importance to the residents of the Khokana Leprosy Colony in Kathmandu, Nepal, visit Kevin Kuster’s GoFundMe page. If every member of the Improve Photography Podcast Facebook group donated $2.27, Kuster’s project would be funded. Donate today. To read more about Kevin Kuster, visit him on Instagram or his website.